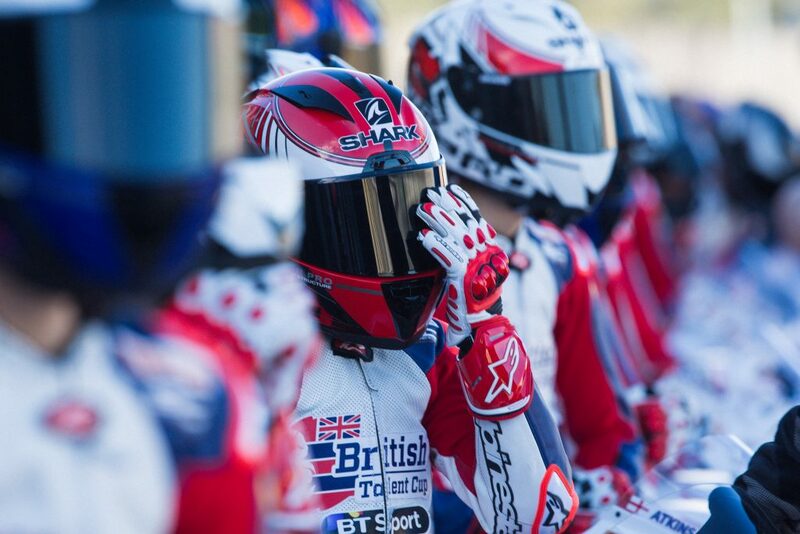 SHARK Helmets is proud to be an official sponsor of the British Talent Cup. Each of the 23 riders will race wearing a SHARK Race-R Pro helmet, as well as receive one-to-one race support at meetings from the SHARK UK Race and Technical Department. The riders from the UK and Ireland, aged between 12 to 17 years old, have all been handpicked from aspiring hopefuls during the first ever selection event ahead of the 2017 British Grand Prix at Silverstone and returned from a test in Valencia in March – the first time they have tested their Honda NSF250R Moto3™ machinery all together on track. 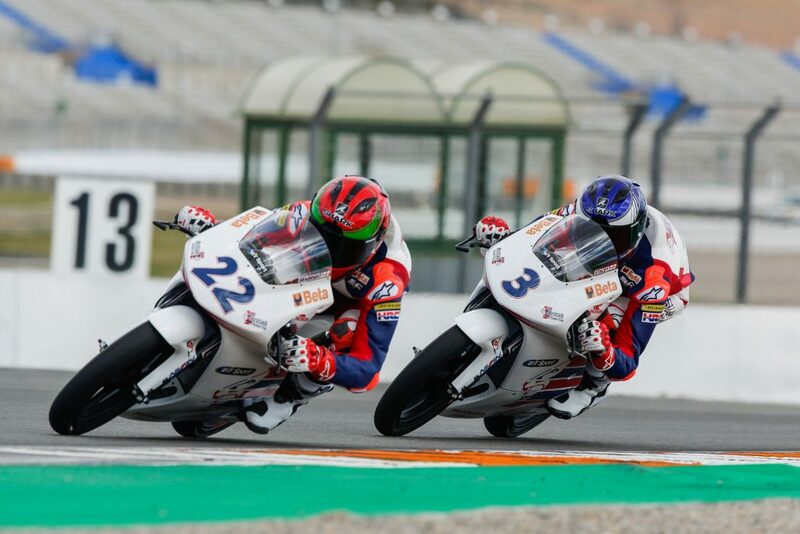 The all-new British Talent Cup is part of Dorna’s Road to MotoGP™ program, designed as the perfect stepping-stone for riders from the UK and Ireland to get onto the world stage. Mark Eilledge, SHARK Helmets UK, said: “We’re very proud to be a partner of the British Talent Cup – the series offers an amazing opportunity for the riders taking part and I’m positive that they’re all going to make the most of the chance they have been given. It’s great to see a lot of familiar faces who SHARK Helmets have been supporting already included in the rider lineup, as well as welcoming a number of new riders into the SHARK Helmets racing team. The Race-R PRO is a high-end race helmet that reflects all of SHARK’s expertise, from design through to manufacturing. It has been developed in conjunction with the brand’s professional riders to meet the demands of top level racing competition: it is lightweight, stable, comfortable, and aerodynamic. The Race-R Pro has a five star SHARP rating. The Race-R PRO helmet is worn by all SHARK top professional riders and has compiled an impressive record in world-level racing championships, with nearly 200 top finishes since 2011**. Constructed from carbon aramid fibre, the Race-R PRO weighs just 1,250g* while providing outstanding shock absorbance. It comes fitted with a flat class 1 optics visor eliminating all visual distortion thanks to a variable thickness: 2.8 mm on the sides, 4.2 mm over the central part. Equipped with a double ‘D’ buckle, the model also features an enhanced visor mechanism with a quick notching and disassembly system for extreme ease of handling. To optimise the aerodynamic profile of the helmet, the Race-R PRO was developed using Computational Fluid Dynamic (CFD) studies. It has been built with a double rear spoiler and 11 ventilation points (four intake and seven venturis) to ensure an optimised venturi effect. The helmet features an anti-fog breath guard and nose cover. As for comfort, the helmet offers an entirely removable and washable interior lining, specially designed for optimal acoustic insulation. Note the presence of the ‘Easy Fit’ system simplifying for riders wearing glasses the placement of temples. ** In-house design produced on the Grand Prix MotoGP, Moto2, Moto3 & WSBK, WSSP models between 2012 and 2017.